I caught glimpses of the disciples’ faces as I imagine them to look. 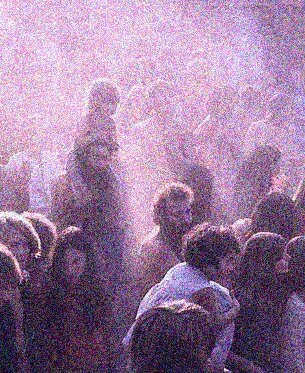 Seeking them out, dispersed among the crowd, I saw their pain and confusion. Suddenly, it was all careening out of control, going way too fast. He had warned them, but they hadn’t understood. Still didn’t. They could only watch and hope that somehow this was all going to end well. I wish I could tell them what I know of these familiar, far away events. So I follow, determined not to lose sight of Him, wanting to see. Not something new but something that has been there all along. Unfamiliar. The whip comes down as His eyes watch me watching. And He is silent. Our eyes are locked as the thorns cut into His flesh and the spit hits His face. The staff they used to mock Him now comes down upon His head again and again. I want to look away. And He is silent. I walk with Him up the hill, precious blood already flowing. The noise is deafening as the crowd follows and the nails are driven in. And He is silent. Also deafening. I find His silence disturbing. Offense, injustice, lies…this scene has it all. Why are You so silent? Why do You not fight back? Why do You not lash out at the ones who are hurting You? Why are You so unlike me? It grows dark as I watch Him labor to breathe. And then. Finally. The cry erupts from His beaten body. “My God, my God, why have you forsaken me?”. I see His eyes. He is watching me watching Him, as though He is willing me to remember. The full wage must be paid. The whip and the nails You took in silence. But the final wage, separation from God, brought forth Your cry and You called it forsaken. This. This is unfamiliar to me. That I shall never have to know the pain of the one thing that broke Your silence. 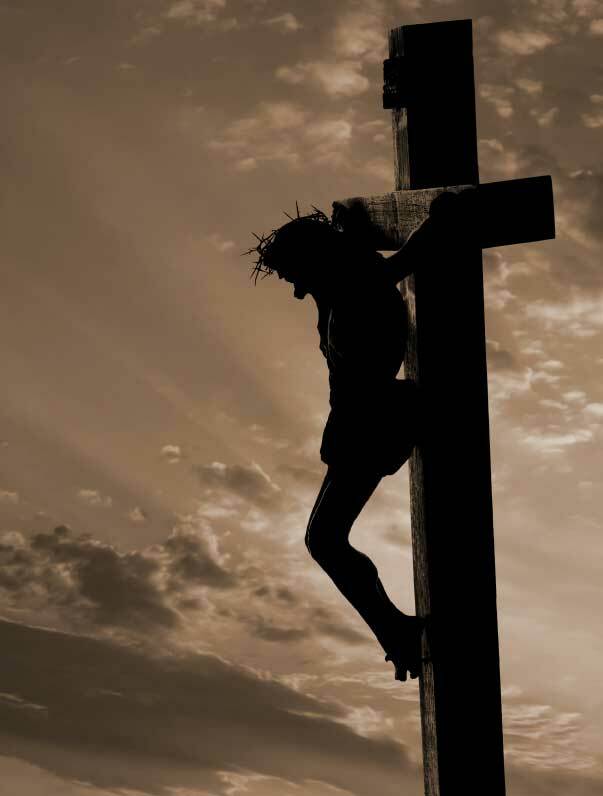 That the full wage of my sin was more than a crucifixion. My heart is full, heavy, as I move to the ground beneath where He hangs and I lie down under the crimson flow no longer so familiar. And He meets me here in this place with one final gift for my aching heart.